What The Zell Is Going On Here?! Those of us watching the soap opera that has become The Tribune Companies since it was acquired by Sam Zell probably knew something like this was coming. We collectively held our breath as Zell punched and squeezed his media empire like a hand full of Nutty Putty. We suspect he will eventually begin breaking it up, selling off the pieces to pare down some of the mountain of debt he incurred for the purchase. I'm referring, of course, to Daily Pilot Publisher Tom Johnson's column today, HERE, in which he announced dramatic changes at the Daily Pilot. I have to tell you that reading Johnson's announcement was like being punched in the gut. First, he told us that 14 staff members of the seven newspapers that make up the Times Community Newspapers, including the Daily Pilot, were laid off last week. That explains the absence of some familiar bylines recently. That was bad enough, but he followed that up by announcing that the Daily Pilot - the newspaper of record for the Newport-Mesa area for the best part of a century - will no longer be a daily newspaper! Nope, henceforth the Daily Pilot will be published Tuesday through Sunday, with Monday being a "dark" day. OMEN OF THINGS TO COME? It's not so much that we'll be losing "our" news on Mondays, but it's a statement about the condition of newspapers in general - they are living on the brink. I'm disappointed with this turn of events. The Daily Pilot has been a big part of my life since we moved here thirty-five years ago. It's been even more so for me since I began writing letters and commentaries that appeared on its pages in 2001. The Daily Pilot has provided a forum for discussion of important issues in our community, almost always covering issues accurately and without bias. It's given those of us with opinions a place to present them to our neighbors for their consideration. The editors have tolerated and presented views from their readers that others felt were repugnant. They have published opinions by writers who, with their next breath, offered scathing criticism of the editors and the Daily Pilot itself. The editors have accepted submissions from those of us with only the most marginal writing skills and made them better. 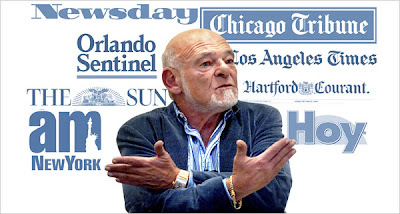 I hope these moves announced by Johnson are the last we will hear as Sam Zell goes about maximizing his investment. The Daily Pilot and it's sister publications have been the information anchor in their communities. For us to lose them would be to extinguish the bright light of public awareness on important issues being considered by our elected leaders. I wish all the good folks at the Daily Pilot the very best of luck and hope these changes are enough to keep the wolf from the door. In his Daily Pilot column May 24th, "Martin has advantage of sheriff", HERE, Orange County Republican activist and carpetbagging Costa Mesa Planning Commissioner Jim Righeimer presents us with his views on the selection process for the position of Sheriff-Coroner of Orange County. As I type this the Board of Supervisors is going through an exhaustive interview process today with the final nine candidates - eight men and one woman - who made it through the initial cuts from the original 48 people who tossed their hats in the ring. They are now in the midst of a dinner break and will interview the final two candidates this evening. Peggy Lowe, co-blogger at the Orange County Register's Total Buzz blog has been doing a masterful job of covering the interviews and providing an almost real-time report on the blog. You can read it HERE. Long gone are such luminaries as the electrician from Garden Grove, the police chief from Duck, North Carolina and the Executive Director of INTERPOL. Also not making the final cut is Orange County Deputy Sheriff Erik Mansoor, brother of our Mayor Pro Tem, Allan Mansoor. I'm curious why he thought he could make the jump from jailer to sheriff. Another example of that "Mansoor judgment" in action, I guess. Eclectic doesn't even begin to describe the group from which our next Sheriff will have been chosen. In his column Riggy makes some good points as he sorts the final candidates for us, distilling them down to a Final Four - apparently an homage to the recently completed college basketball season. Primary in his reasoning for his ultimate selection is that the person chosen by the supervisors to replace the disgraced and indicted Mike Carona must be able to be elected in 2010. He tells us that, in a contest between his final two, Santa Ana Police Chief Paul Walters and Los Angeles Sheriff's Department Commander Ralph Martin, the nod goes to Martin because he has been a lifelong Republican and Walters has shown some ambivalence about his party affiliation in recent years. As Riggy says, "This is an elected position, and politics matters. The supervisors do not want to have a sheriff with political trouble in two years. Therefore, in handicapping this pick, the advantage goes to Ralph Martin." I'm trying to decide whether I'm angry at the system that creates this dilemma or at Righeimer for so clearly demonstrating why it's a problem, or both. I don't necessarily think it's bad that Walters, for example, has shown displeasure with his affiliation with the Republican Party. Who could blame him - except those in charge of the party itself. The position of Sheriff-Coroner of our county is an elected position so the holder of that office will not be under the thumb of the Board of Supervisors - he will be beholden only to the voters of this county. I'm comfortable with that arrangement. However, in this situation, Riggy would have the supervisors select a person who passes muster with the hacks that currently control the Orange County Republican Party. He conveniently neglects to mention that Carona was one of "their guys", too. In my view, the Board of Supervisors has a unique opportunity before them next week - one that transcends "politics as usual". From the remaining pool of candidates they may be able to select a person with impeccable credentials in law enforcement leadership - a person with a background of exemplary performance leading large law enforcement organizations - the kind of person with the command presence and leadership needed to rebuild the morale and reputation of our Sheriff's Department. And, they can do this without worrying about an election more than two years away. The new sheriff will have more than 24 months to demonstrate that he or she is the right person for the job. Just as interim sheriff Jack Anderson has done in his few months holding that "temporary" job, the new sheriff can jump in immediately and begin making the reforms so necessary to "fix" the department. This job requires a top cop, not a politically connected back-slapper who will immediately begin to ingratiate himself with the political movers and shakers in this county. I read through all the application material available online for each of the candidates and was impressed by many of them. As a recruiter for most of my working life, I know that information is just the starting point, and that the interviews today will be the deciding factor in the process. Based on what we see in their background information, most of the remaining candidates could probably do the job. Deciding which one will be able to do it best is up to the supervisors. The new sheriff will be under intense scrutiny, so his or her performance in the next two years will be much more important to the electorate than whose boots he or she is willing to lick to get elected in 2010. Regardless what Riggy and his pals in the Orange County Republican Party think, the supervisors should do the job we elected them to do and give us the best law enforcement leader available for the job of Sheriff-Coroner of Orange County. If they do that, and the person selected demonstrates the right skills over the next two years, the 2010 election will take care of itself. MEMORIAL DAY - WHAT DOES IT MEAN? For many Americans the Memorial Day holiday means the official launch of summer. That extra day we tack onto the weekend today means that, under normal circumstances, tens of millions of Americans drive somewhere to enjoy the holiday. Few really take the time to contemplate what this holiday is all about. 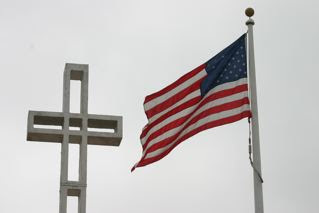 This morning my friend and Daily Pilot columnist, Joe Bell, presents us with his take on Memorial Day, HERE. As usual, Joe does a great job of describing his recollections of "his war" and the reluctance of many who fought during WWII to tell their stories. Joe is right. The generation that fought and won WWII - Tom Brokaw's "Greatest Generation" - are leaving us at the rate of around 1,000 per day. The pool of human spirit that locked arms and fought to defend our country, and later built it into the dominant industrial and economic power in the world, will soon be gone and with them may go many untold stories of heroism, valor and sacrifice that the rest of us really do need to hear. The same can be said for those who fought in "my war" - the Viet Nam Conflict. That war - yes, it was a war - cost us more than 58,000 young Americans and tore at the very fabric of our country for more than a decade. Unlike WWII, where most Americans pulled together to defeat the common enemy and later build our country, "Viet Nam" became a metaphor for derision and anger. The societal wounds opened by that war continue to fester to this day, more than thirty years following the end of hostilities. My peers who fought in that war have also been reluctant to talk about their experiences. The combination of the pure horror of war and the fact that the Viet Nam war was so unpopular have kept many of them mute over all these years. I have a cousin who is a couple years younger than me. He came to California from his home in the Midwest to attend school while I was in the Army in the mid-1960s. When my tour of service ended I returned home and, when the semester ended, he went back home to continue his education at Kent State University. As fate would have it, he was drafted and became an infantry soldier in Viet Nam. He survived his tour of service and went on with his life. Despite being part of a very supportive family, with three younger brothers and a sister, he never discussed his experiences in the war with anyone - not even his wife. Then, a few years ago, we traveled to his home for the marriage of his daughter. After all the turmoil that surrounds such an event was over and the kids were on their honeymoon my cousin and I sat at his kitchen table late one night, just kind of unwinding from the event, when he began taking about Viet Nam. Once he started talking it all just kind of poured out. He spoke of the three purple hearts he received for wounds sustained in battle. He spoke of the near-misses he'd experienced beyond those three injuries. For example, as he and his platoon woke one morning to head out on patrol, one of his mates accidentally stepped on my cousin's glasses, which he had placed carefully beside the leg of his bunk. Although my cousin was willing to go on patrol without his glasses, his platoon sergeant refused to permit him to join them and he remained behind until a replacement pair could be sent from Saigon. That morning two dozen men left on patrol. None returned. They were caught in an ambush and slaughtered along a dark jungle trail. In another incident my cousin was on patrol when one of his compatriots discovered an unexploded LAWS rocket. That's a projectile fired from a disposable, light-weight launcher that some American and South Vietnamese troops carried. His sergeant was furious about finding an unexploded round, blamed it on improper use of the weapon and told my cousin to pick it up and take it back with them to their camp where there would be a class about how to properly use it. My cousin refused because it was a "live" round and could explode any time. After a short argument the sergeant had another man bring it back with them. The next day one of my cousins mates came to fetch him for the class, which was to be held in a bunker within the compound. My cousin told his friend that he wasn't going anywhere near that thing because it was still a live round. As he said those words they heard an explosion. The round blew up and killed or severely wounded 17 soldiers, including the sergeant and their platoon leader. Listening to his stories that late night at his kitchen table I realized that my cousin's experience in Viet Nam was very similar to that of the character Charlie Sheen portrayed in the movie, "Platoon". Those men, who served our country in an unpopular war, deserve our respect for their service, too. They deserve to have their stories heard. The young men and women who volunteer to serve this country today in distant venues, like Afghanistan and Iraq, also deserve respect for their service and sacrifice. They, too, have stories to tell. We need to listen to them and thank them for their service to our country. Today, Memorial Day, 2008, would be a good time to begin that process.